Summer Training is at Grove Road Park (aka Hinckley Road Rec or Burbage Park) -5pm to 6pm. All welcome to come and try out – first 3 session free after this you will be given a membership form £30.00 a year. We are not just a Juniors Running Group – we cover all track and field events – including Long Jump, Triple Jump, High Jump, Shot, Discus, Hammer, Javelin and Hurdles. 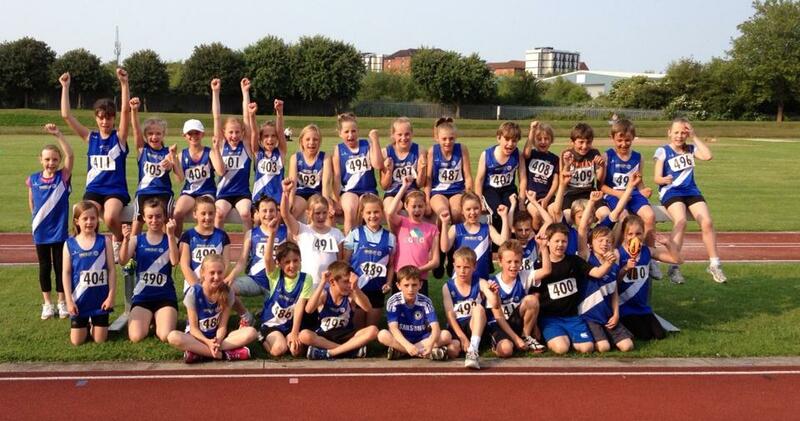 Which consists of Quad Kids – 4 events for each child held at Saffron Lane – for Age Groups Year 3 -6 (School Years). We also do Sportshall competitions which are indoor events held over the winter for Age Groups Year 5 – 10. We also participate in the Cross Country season from October till March which are help at various locations around the county – which are held at the same time and venues as the adults XC races.